Recipe for Fitness: Thank You, Champion Nutrition USA! Thank You, Champion Nutrition USA! It's official! I am a Champion Nutrition USA Team Member! I'm so excited! Along with having an amazing sponsor for my August show, I'll be posting a new healthy recipe on their Facebook page each Tuesday. It's a wonderful opportunity that I deeply appreciate (I'll make ya' proud, Mike! ), and an honor to be among the incredible athletes sponsored by Champion... Lee Banks, Amber Day, Thiago Alvez, and many many more! Wow! How did this come about? Well, I'll tell you! I'm still pinching myself, lol! Last week, Champion contacted me about my recipes. You guys know I'm the self-professed Protein Powder Queen :-) We chatted back and forth, and the result was that I would post a weekly training-friendly recipe here, linking from their Facebook page. In exchange, they're sponsoring me (paying for my entry) into my figure competition, and will be sending me product to play with :-) I am always on the lookout for clean products I can use, and they've got a meal replacement powder that's totally clean - haha, and I can't wait to get my hands on it! Lol! Being as far into my competition prep as I am, I cannot change my supplements until after the show, but I've got a whole bunch of people in my house and my world who are my recipe guinea pigs :-) and they'll be helping me by tasting all the fun stuff I create in the kitchen. When my show prep is complete, I look forward to trying these products myself, and telling you all about them... that said, I want to be really clear with you guys. Being a sponsored athlete (wow, still not used to that! ), does not mean I'm getting paid to hawk a product. I'm not getting paid and I'm not selling anything. I'm still just me. If you take a moment to flip through your fitness magazines, you'll see your favorite fitness personalities - Jamie Eason, Alicia Marie, Amanda Latona, Ava Cowen, Oksana Grishina - on ads. Yes, I know that many of us don't like the ads, lol, but my point is that these are all sponsored athletes. A sponsorship is a wonderful relationship between athlete and organization - money is most often not involved. Product is, endorsements where warranted, but it's about resources and support. While I am not in the same league as those amazing women, that's not why Champion wanted me... they want me for my recipes (I feel so used - hmmmm.... ok!). I have a knack for creating clean & nourishing recipes that can be used by anyone - from someone trying to lose weight and get in shape, to someone competing and training hard. I am insanely excited that Champion sees value in what I create and wants to be part of that. And what this means for me personally - me, a 40+ wife, mom, full-time employee who's competing for the first time and building a reputation for healthy & clean recipes, is an opportunity to have my voice heard on a larger microphone. 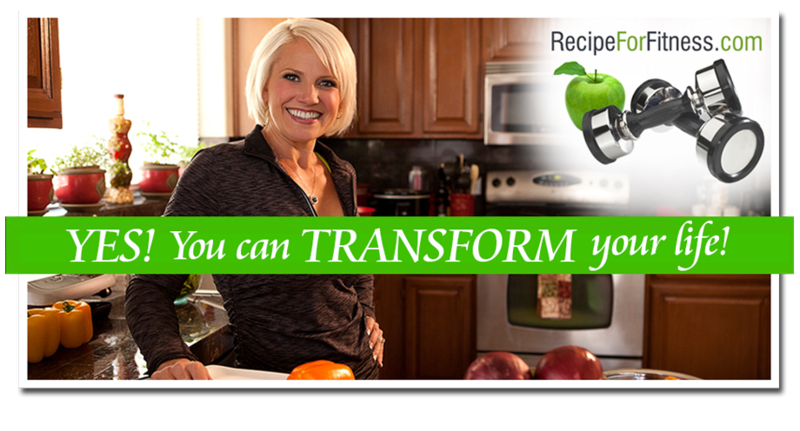 You know my passion for nutrition and fitness, for helping others reach their goals. You've heard me say, if I can do it - you can do it! Champion Nutrition, by inviting me to become a Team member, is allowing me a public platform to share what I've learned and continue reaching toward my goals. I am grateful beyond words, and so excited about this opportunity! I hope you'll support me in this new venture, and not think that I've sold out. I promise you, I haven't. I am honored by this new relationship and sponsorship (still can't get used to saying that! ), and my commitment to you, to Clean Eating, Training Hard and living a full and productive life are all intact. Congratulations!!! Passion and hard work do pay off. You go girl!!! So amazing! Congrats! That is super exciting, and such a great way for you to help even more people! I'm SO thrilled for you! oh my goodness! how thrilling! that is such an honour, and one you are truly worthy of as you continue to ignite and inspire others to your level of commitment and dedication. can't wait to hear all about it. Wow, congratulations! What a great opportunity. Hard work does pay off! I'm a girl-friday :-) I do web design, optimization and maintenance plus graphic work (print media) with some administrative work tossed in... for a real estate company.